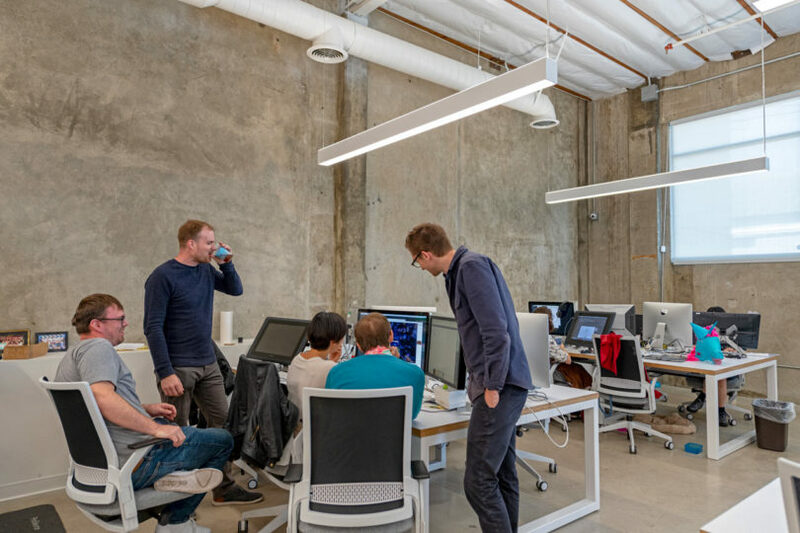 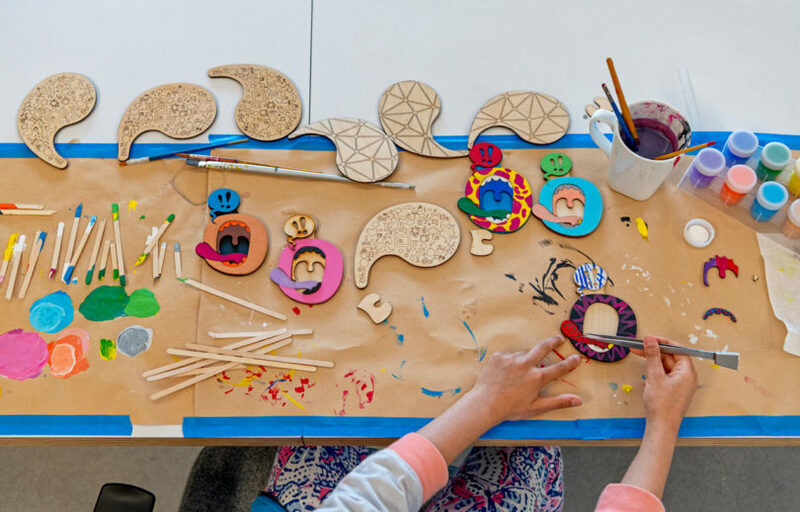 This former garment manufacturing warehouse in Los Angeles’ Silver Lake neighborhood has now become the home of independent animation and motion graphics studio, Roger. 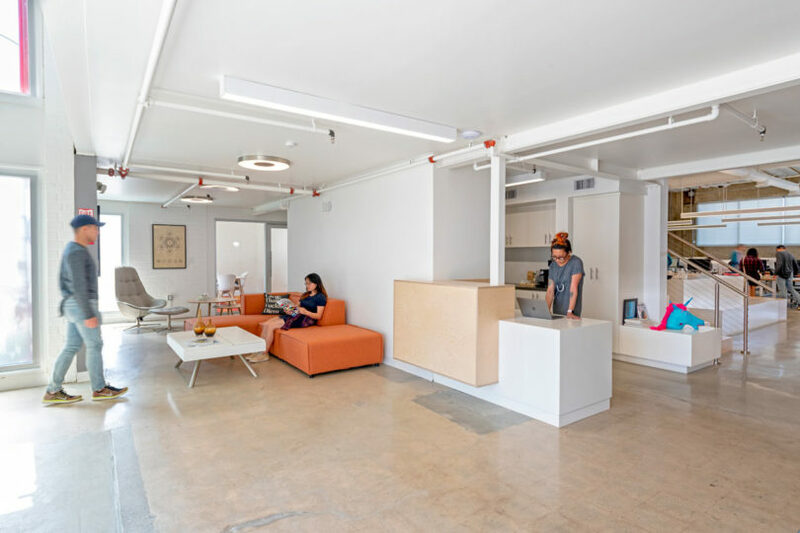 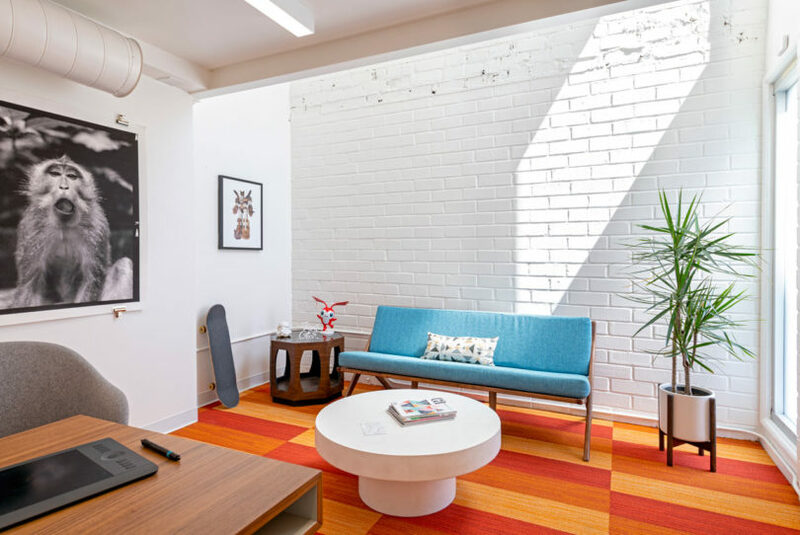 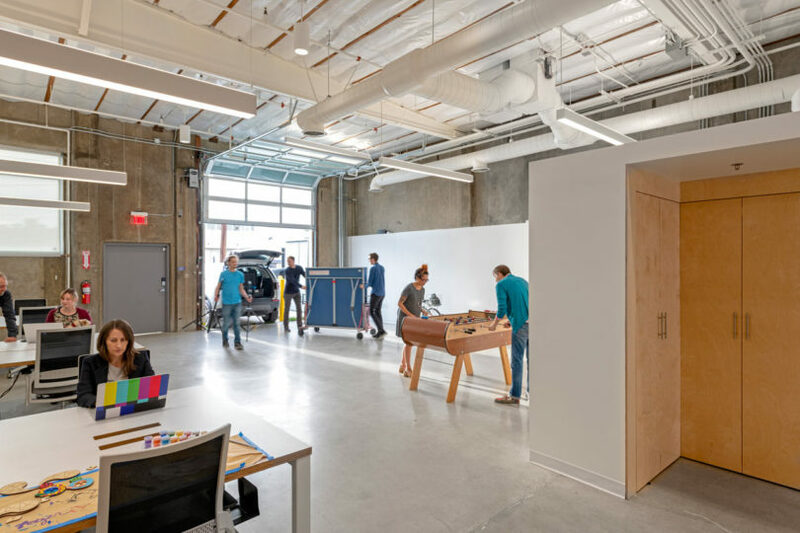 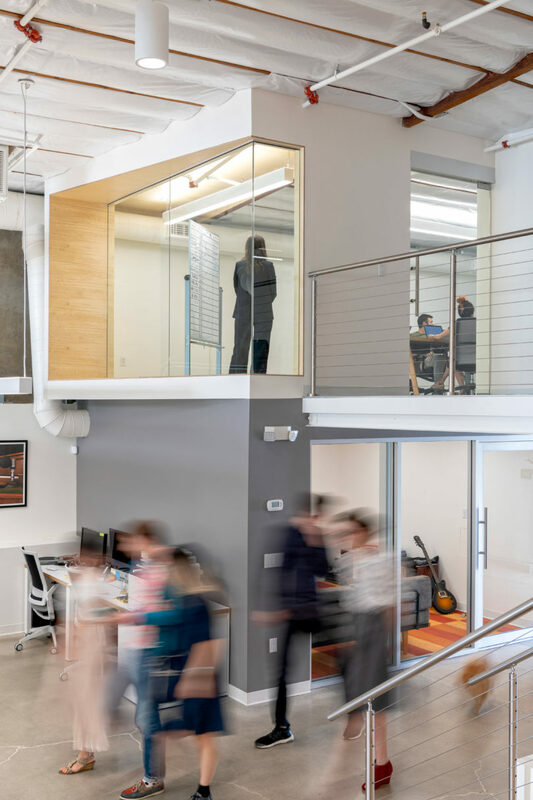 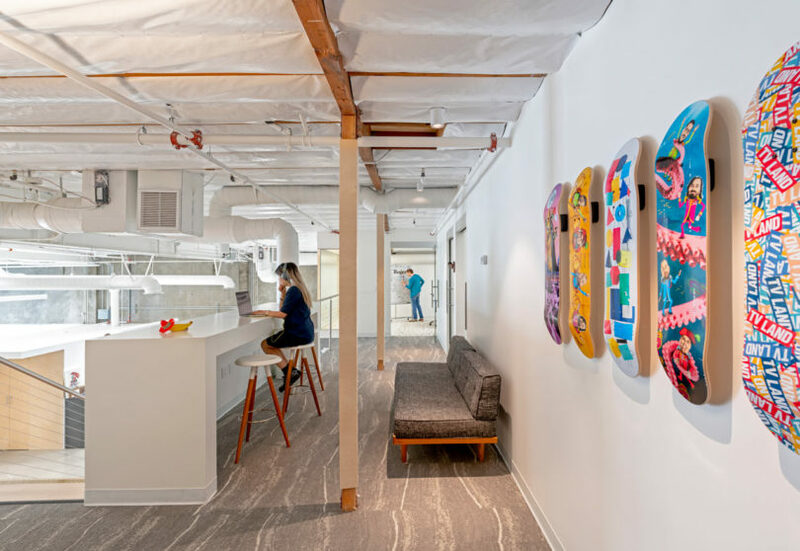 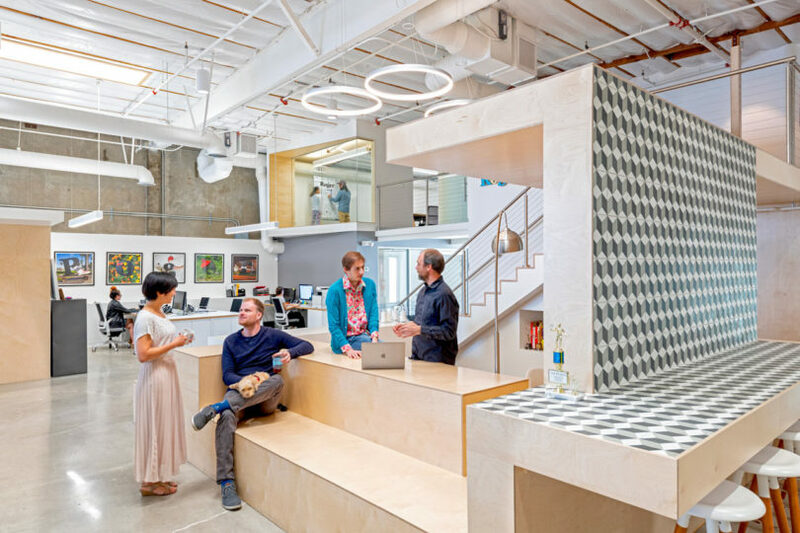 The 6,500-square-foot space was renovated by CHA:COL, Inc., who were tasked with bringing the industrial building up to code. 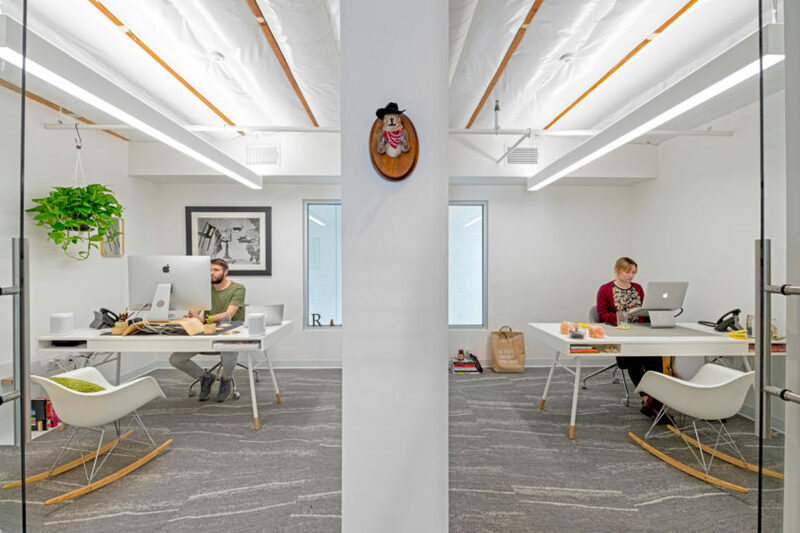 In order to house the young company, the firm had to design workspace for 30 animators, 6 producers with 4 private offices, 3 editing suites, 2 conference rooms, 3 bathrooms, an empty shooting space for green screen work, a kitchen, and lounge. 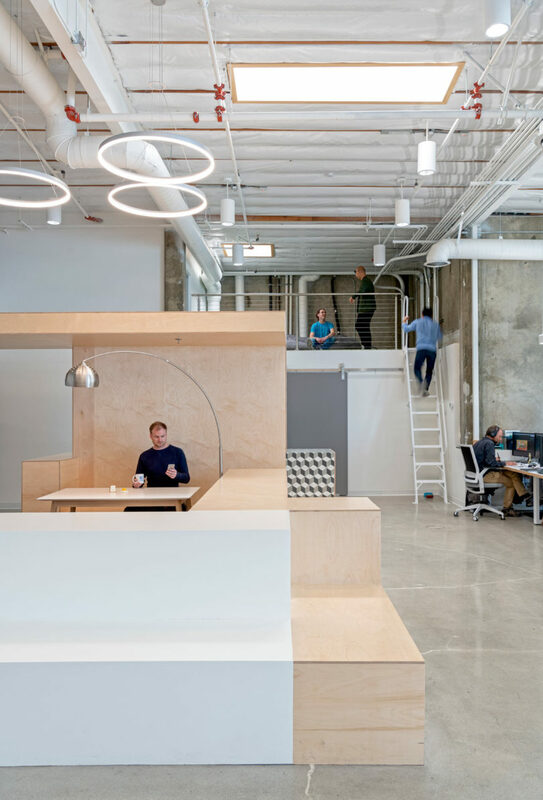 The layout was designed to include a central area, dubbed The Pit, that’s used for working, eating, having a meeting, or just taking a break. 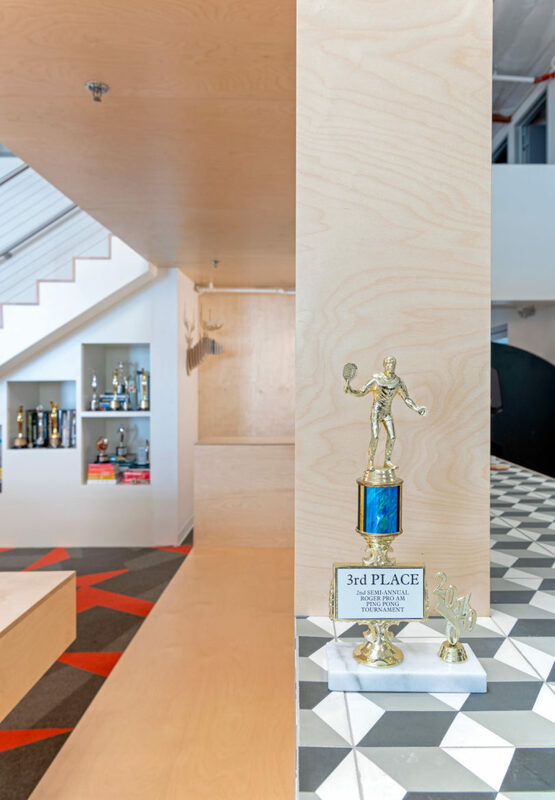 It was designed out of laminated plywood and features a bar-type counter, bleacher seating, and a display area. 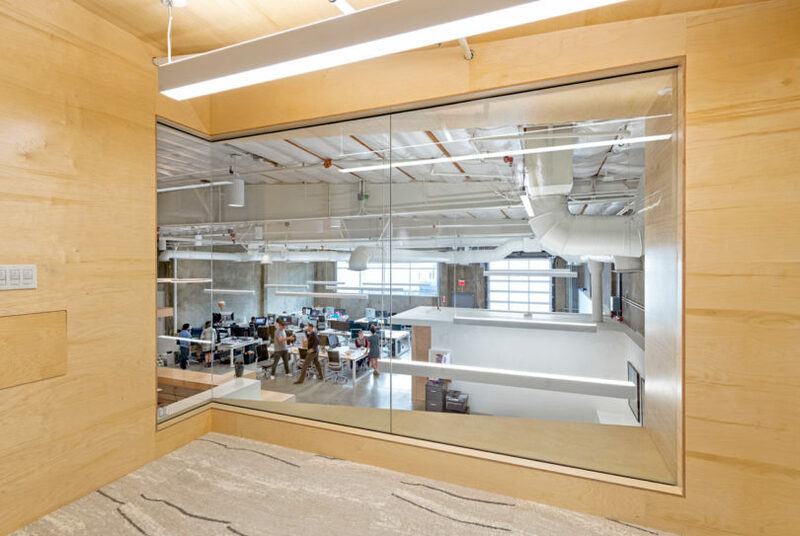 Surrounding The Pit is a loop left open for circulation to the surrounding areas. 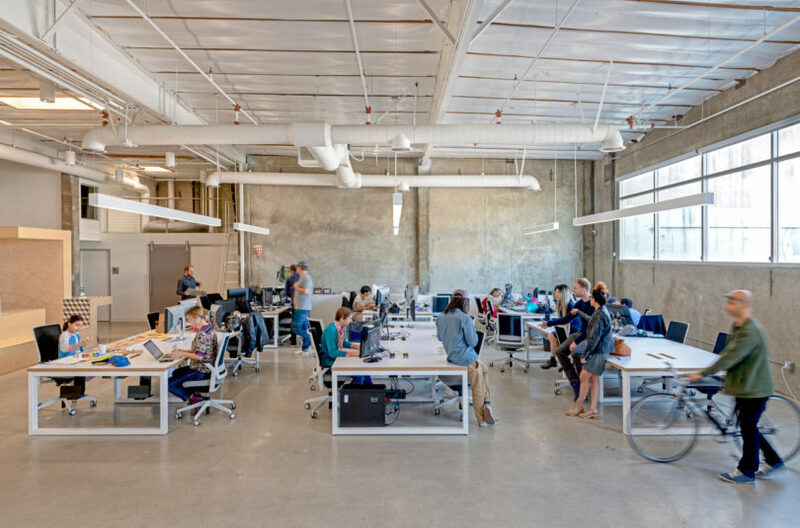 Instead of masking the industrial nature of the building, they decided to incorporate it into the design, like choosing to restore the concrete floors and leaving the ceiling exposed. 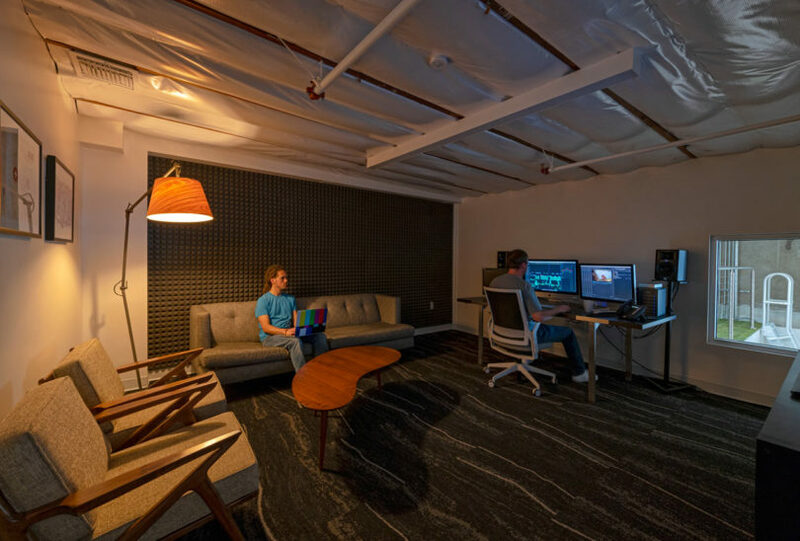 The mezzanine floor was added for additional space and it houses the post-production division.